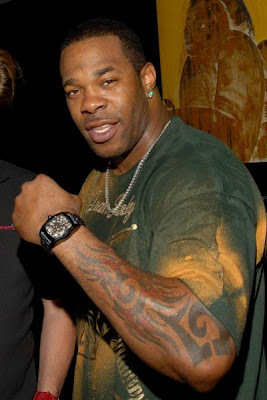 Busta Rhymes is a fabulously talented Jamaican-American rapper, over the top rapping style. 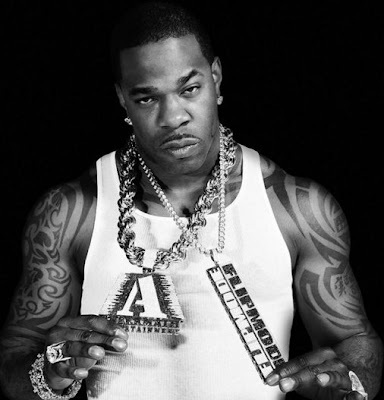 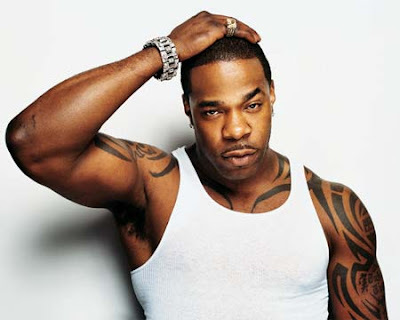 Busta Rhymes has many tattoos on his body, most of which are of the tribal variety, located on both of his arms. 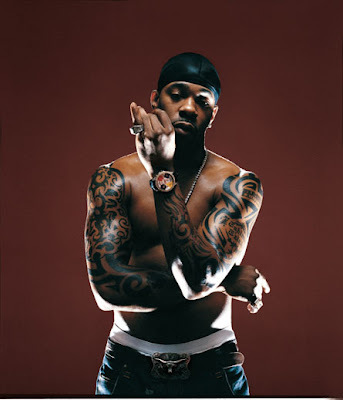 He has two nearly complete sleeves which are comprised of several tribal hooks, along with some flame and script designs as well. 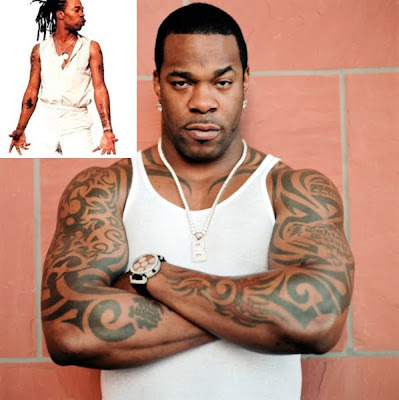 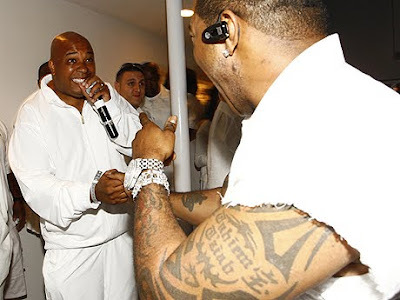 Checkout these pictures of Busta Rhymes and his many tattoo designs.